You are in the right place if you felt and finding the solutions for Hey Siri is not enabled on your new Airpods 2. Because now Using Hey Siri command we can play any song, playlist, Make a call, Nearby area on Map guide, Know the battery level and more. To use all the features we must have a wake-up Siri on Hey Siri command works correctly. 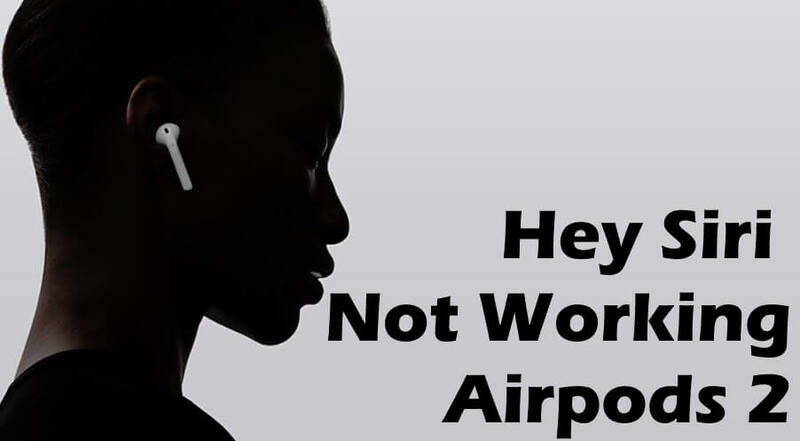 Now find out where is the problems that causing the issues on using Siri feature on Airpods 2. Hey Siri, Call my mom. To use Siri on any Apple devices (Now Hey Siri is available on all Apple devices like apple watch, Homepod, iPhone, iPad, iPod, MacBook, iMac, Mac mini and finally now on Airpods 2). 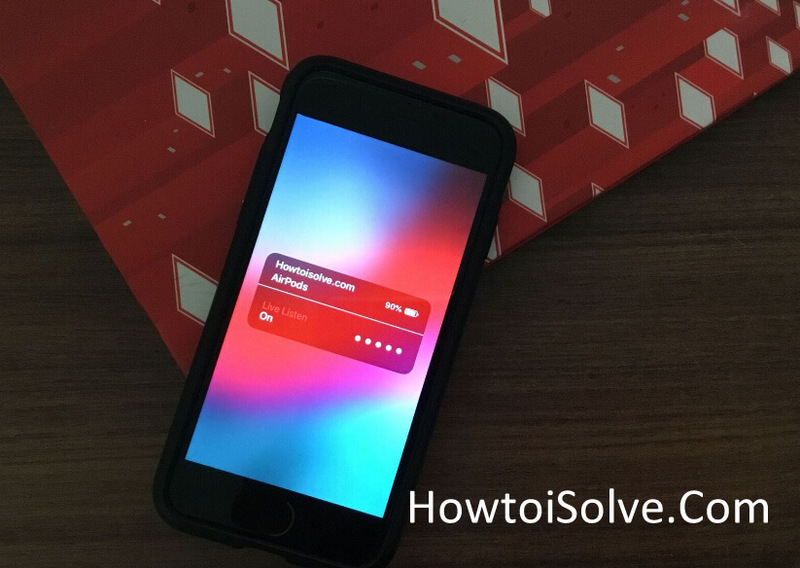 For all apple device, apple allows making it enable or disable that help from unauthorized activates Siri from the device settings. For Airpods: Go to the iPhone settings app > Siri > Enable Allow Siri when locked. These settings automatically applied to your airpods settings. Also, you can customize Siri Voice, Language (Right now Airpods 2 doesn’t support other language and will be added soon for more geo areas). First Generation Airpods also we can use for Siri. Just Double tap on Airpods and activate Siri without Hey siri command. Go to the Settings app on the iPhone and Tap on Bluetooth. Next, to the Bluetooth, tap on Airpods if it’s paired and connected. 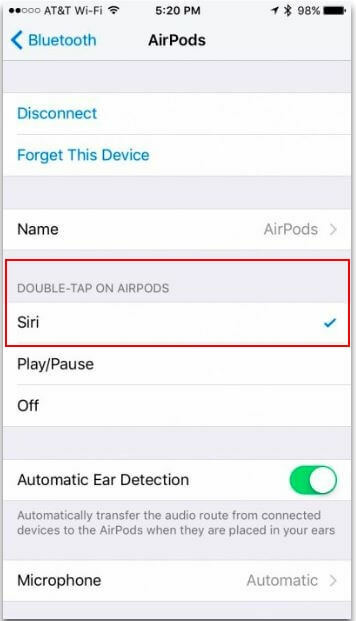 Now scroll to find the option for Siri keeps selected under the Double-Tap on Airpods. Yes, Airpods can use and directly pair with Mac, Apple Watch, iPhone, iPad, Apple TV, See here how to pair airpods with Apple Device after unpair. Make your airpods updated and bugs free, know how to check Airpods firmware version and how to update airpods. According to Apple Device that has been connected with Airpods, Steps for reset network settings changes. On your iPhone, iPad: Go to the Settings > General > Reset > Reset Network Settings. On your Apple Watch: Settings > General > Reset > Reset Network Settings. On your Mac: Open Bluetooth preference under the system preferences. Disconnect the Airpods and Pair again. 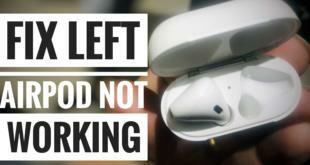 Hope you guys you have been fixed all the problems that happen with your Airpods. Don’t miss to share your feedback and working troubleshooting solutions that worked for you and helpful suggestions in the comment box.